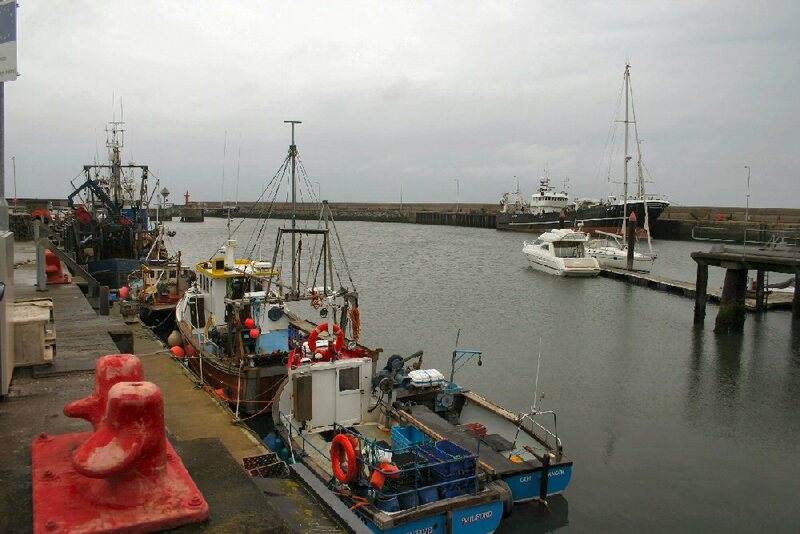 The town of Bangor lies some 14 miles east of Belfast on the Co. Down side of Belfast Lough. Once a seaside resort, Bangor is now a dormitory town with a population of around 60,000. Until 1990 the main commodities handled at the harbour were imported coal and general cargo exported to the Isle of Man in weekly services to Ramsey and Peel, operated by Mezeron and Glenlight respectively. By the late 70s, with the collapse of tourism in Northern Ireland, Bangor’s role as a seaside resort vanished and, in the absence of any continuing development, the area around the harbour and seafront became neglected and run-down. The Council decided that the whole seafront needed considerable investment to restore it as a worthwhile attraction for locals and visitors alike. This involved the closure of the harbour to commercial shipping and a decision to concentrate on the leisure market – notably yachting. The first stage in the redevelopment was the demolition of the derelict North Pier and its replacement by a substantial concrete structure. The new pier opened in 1983. The second stage was the opening, in 1989, of a 560-berth marina. What amounted to a third stage in the transformation of the seafront was the opening of new offices for the MCA at Bregenz House adjacent to the marina. The Belfast Coastguard there is responsible for the coastal waters from Lough Foyle to Carlingford Lough and the inland waterways of Lough Neagh and Upper and Lower Lough Erne. Although coasters no longer call the harbour is still used commercially by trawlers landing their catches or lying over and mussel boats mainly involved in dredging in Belfast and Larne Loughs. From time to time Scottish boats use the harbour for shelter during rough weather. There have been calls by replica sailing ships such as the Grand Turk and the Golden Hind. The Fitzcaraldo has encouraged people to “walk the plank”, and naval visitors have included the Sandown class mine counter measures vessels HMS Inverness (M102), HMS Bangor (M109), HMS Shoreham (M112) and some Archer class boats operated by the university naval squadrons. Customs cutters such as the Seeker, Searcher, Vincent, Valiant and Vigilant make occasional calls and the marina is the base for two other Government vessels – the fishery protection launch Ken Vickers and the Redbay Stormforce 7.4 RIB, RV Capitella, employed in water quality sampling. 2005 saw Bangor used as the base for boats supporting two jack-up rigs operating in Belfast Lough. Fred Olsen’s Black Prince is an annual visitor, anchoring in Bangor Bay before transferring her passengers to tenders. The Hebridean Princess has called, also anchoring in the bay and transferring her passengers to Zodiacs. For some the highlight is the annual visit of the Balmoral, cruising Belfast Lough and the Antrim coast, or sailing to Peel via Donaghadee. Finally there are a number of boats operating short pleasure trips around the bay or offering sea-angling charters. Brian Meharg’s Blue Aquarius is the latest of successive “Bangor boats” to offer short trips out as well as angling charters. The Betsy III and the Missy Moo are also available for hire. It is sometimes possible to use a public trip on the Blue Aquarius to view vessels at anchor off Bangor awaiting passage to Belfast.